Most armed conflicts since World War II have been neither conventional nor nuclear, but wars of a third kind, fought in developing nations and involving guerrilla warfare. 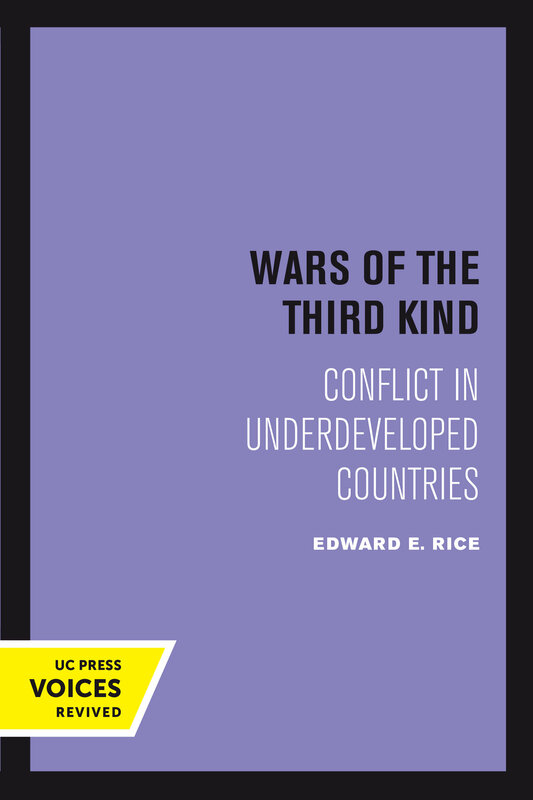 Edward E. Rice examines historical combat of this sort, including the American Revolution, the Chinese civil war, the Huk rebellion in the Philippines, and conflicts in Algeria, Vietnam, and Latin America. Rice explores the origin, organization, and motivation of these wars and the dangers they pose to the powers that get involved in them. 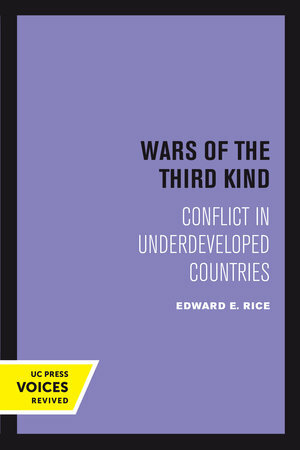 Edward E. Rice, who spent thirty-four years as an officer in the U.S. Foreign Service, is former Deputy Assistant Secretary of State and the author of Mao's Way, which won a Commonwealth Club medal for nonfiction.